What is this “Big Box of Words”? 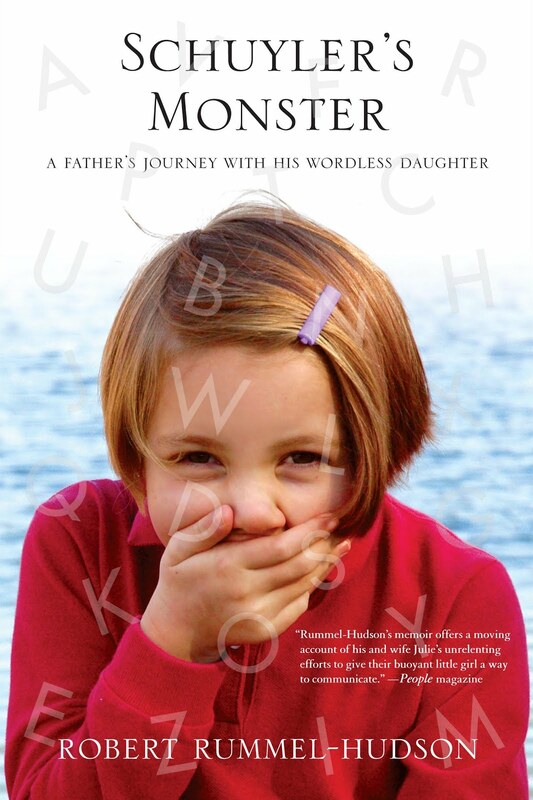 In Schuyler's Monster, Robert Rummel-Hudson shares the story of his daughter Schuyler, now nine years old, who was born with a rare neurological brain disorder called bilateral perisylvian polymicrogyria (PMG), which prevents her from being able to speak. Throughout his book, Rob talks about what Schuyler calls her “big box of words,” PRC’s Vantage speech-output device. Assistive technologies in the field of augmentative and alternative communication (AAC) include speech output devices that “speak” the user's intended word or phrase based on the device keys selected either by direct touch, scanning, or headpointing. The simplest AAC devices produce single words or simple commands; more sophisticated AAC devices like the Vantage Lite previously used by Schuyler, enable virtually unlimited and fully personalized communication. “As we began exploring the possibilities of assistive technology when Schuyler was five, we tested different devices of varying complexity from different manufacturers,” says her father. “Schuyler gravitated to PRC's Vantage almost immediately, and even in the short time she evaluated the device, we could see its potential. Spring 2009, Schuyler received PRC’s powerful Vantage Lite for AAC power on the go! What makes AAC important to Schuyler? •She is able to say what's on her mind and in her heart. •She can generate speech quickly enabling her to keep the natural rhythm that is so important when communicating with others. •She has a language structure that is designed to help develop communication to her highest potential. •She can join the mainstream and actively participate in the events and activities around her. •She has control of her life through the power of communicating. AAC devices from industry leader Prentke Romich Company (PRC) use a proven language learning system called Unity®. The Unity system expands along with the user's vocabulary and capabilities to enable the most spontaneous and independent communication possible. For more information about Unity and PRC’s Vantage Lite, go to www.prentrom.com or call PRC at (800) 262-1984. Since 1966, Prentke Romich Company (PRC) has been a global leader in the development and manufacture of augmentative communication devices, computer access products, and other assistive technology for people with severe disabilities. In addition to its powerful communication devices - Vanguard™, Vantage/Vantage™ Lite, ECO™-14, and SpringBoard™ Lite - PRC also provides a wide array of high-quality teaching and implementation tools, therapy materials, curriculum sequences, funding assistance, and training to speech-language pathologists, special educators, and the families of AAC communicators. To learn more about PRC and its communication aids, go to www.prentrom.com or call (800) 262-1984. ECO, SpringBoard, Vanguard and Vantage are trademarks of Prentke Romich Company. Unity® is a registered trademark of Semantic Compaction™ Systems in the United States and other countries.